The Embroidery Corner is a 16-week course that will introduce the student to hand embroidery techniques including traditional stitches using perle cotton and cotton floss; silk embroidery ribbon stitches using silk ribbon especially made for embroidery; and bead embroidery stitches using seed beads, buttons and charms. 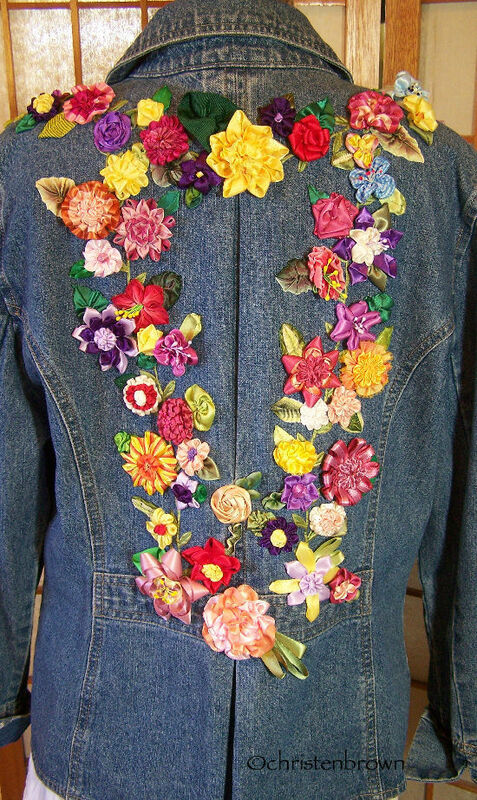 It is required that you buy my book Embroidered and Embellished as I refer to the book during each class. Each class will cover one embroidery stitch and it’s variations; or several related stitches and variations. These stitches included border row, decorative and detail stitches. The stitches will be worked on a muslin sampler that you can turn into a book of samplers. You will receive a handout for each class, which explains the stitch, how to use the stitch, and the variations of the stitch. The first day of the series I will have a 15 minute lecture that covers the Embroidery Basics for the first 12 classes. 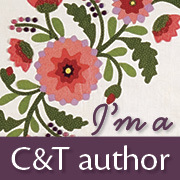 I will also have a basic lecture for bead and silk ribbon embroidery stitches. I have two things to share with you today…..
My first book Ribbonwork Gardens was just included in a blog post from ProFlowers; the post is 30 Books to Expand Your Love of Flowers. How exciting was that?!!! 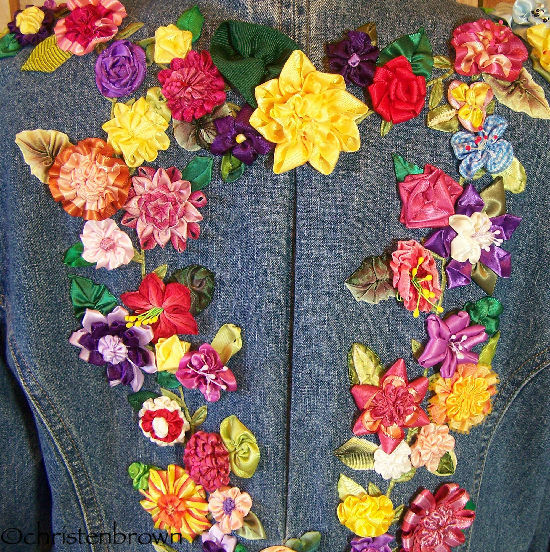 I also just finished embellishing this jean jacket that I found at a thrift store. The front and back panels are embellished with the leftover ribbon flowers that I have made over the past three years for two of my books. 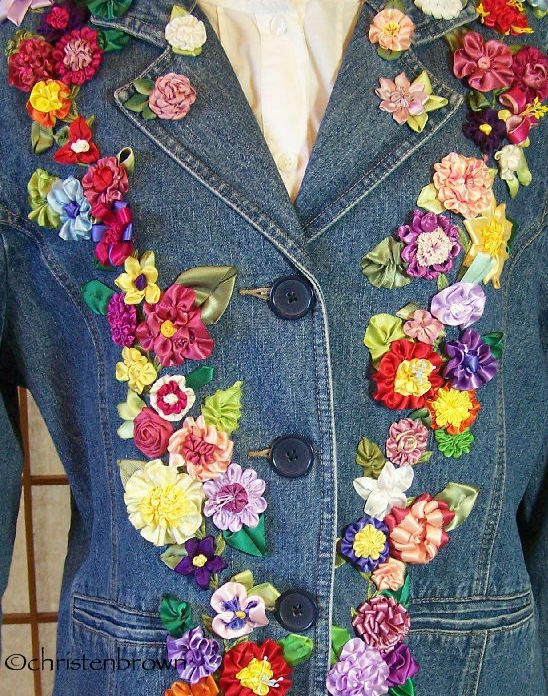 Some of the flowers are from my first book, Ribbonwork Gardens, and some are from my new book, Ribbonwork Flowers. The rest are just are prototypes of flowers that I just liked, but didn’t get into either book. Here is a closeup of the front, and then the back. What a hoot! Do you love owls if you do then Oliver is definitely your man! He is made from felt, hand pieced and embroidered with a few simple stitches. He stands 7” tall and is 7” wide, and wears a beret that resembles a sunflower. He is the perfect addition to any aviary and autumn mantel. Lesson 1: In this lesson you will choose your colors, and then cut out the pattern pieces. The basic embroidery stitches will be covered. Then you will begin by giving him some personality and embroidering his eyes. Lesson 2: In this lesson you will assemble the face to the body, and embroider around his eyes, beak and forehead. The chest and wings are added to the body, and these will be further embroidered with stitches. The body will be stitched, and partially assembled. 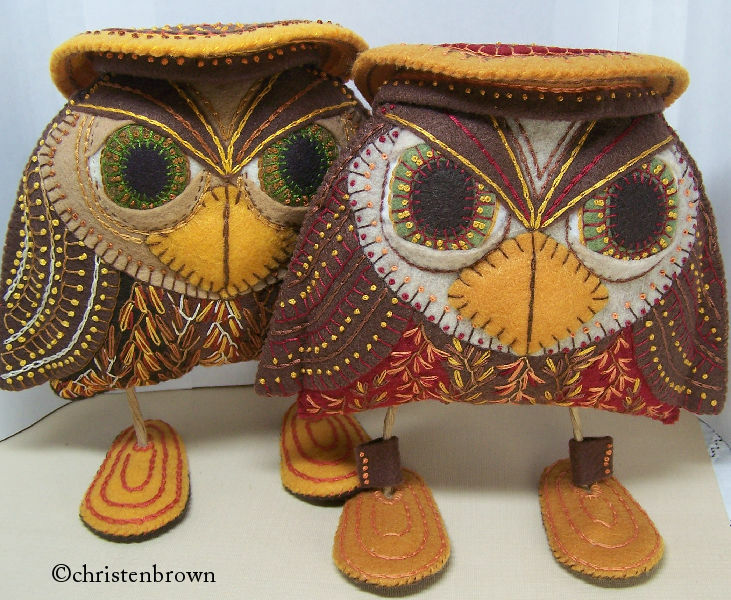 Lesson 3: In this lesson you will embroider the feet, and assemble the legs. The body will stuffed, and then the legs inserted. Lastly the sunflower beret is embroidered and assembled, and your dapper gent is done! 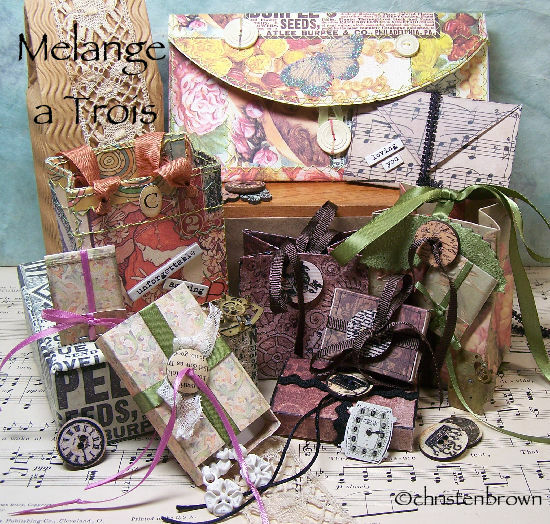 Do you love mixed media, decorative paper, ribbon, lace, ephemera and collage? Well this is the perfect class for you then. You will learn how to combine all of these bits of gathered treasure and create them into gift envelopes, bags, and small boxes. Simple easy techniques, your sewing machine and a bit of imagination is all you need! There are two different envelopes to choose from; two sizes of the small gift bags; and two sizes of the mini matchboxes; with a bonus pattern for a gift tag. Lesson 1: In this lesson I will discuss themes, gathering, storing and choosing your components. Then the fun begins with paper collage including copying, cutting and stitching techniques. Lesson 2: In this lesson I will show you how to assemble the collaged gift envelope; how to collage and assemble a gift bag; and assemble the mini matchbox. Lesson 3: In this lesson you will learn how to make the small envelope, gift tag and treasure keeper. Then the decoration begins for the envelopes, bags and boxes. 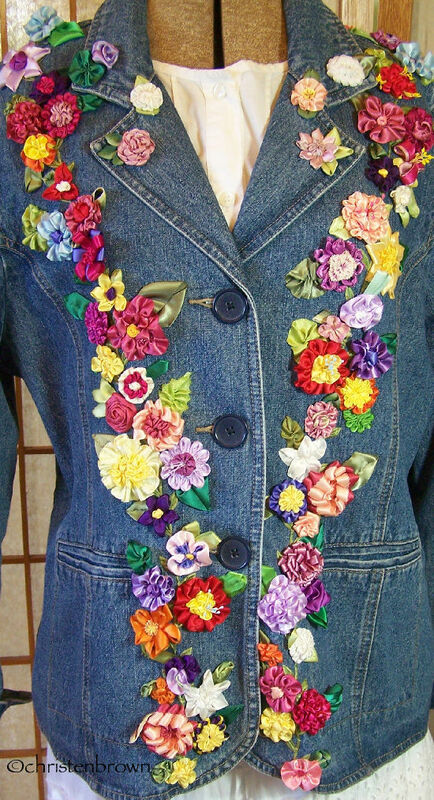 These will be embellished with paints, pens, stamps, trims, ribbons, lace, buttons and more!